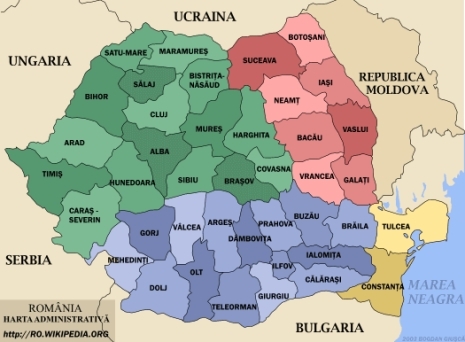 Romanian president Traian Basescu has asked the Government to analyze the potential reorganization of the country from the current 41 counties, to eight big counties, or seven counties and the capital Bucharest. The current system, which has been kept since 1968, generates inefficiency in using EU money and triggers corruption, according to Basescu. According to him, the new system would reduce the red tape and accelerate the decentralization process. If it doesn't solve its problems in accessing more EU money, Romania could not receive those funds, at least on a temporary basis. The president has asked for a report showing what has happened with EU-funded projects in various counties across the country, which should be given to publicity in the following days.